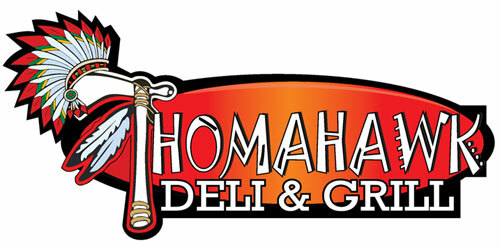 Thomahawk Deli & Grill, founded 2011 is at the heart of Conemaugh Township right in the middle of Davidsville, PA. Filling the need for a local restaurant and building on the reputation of the previous deli, Thomahawk has plenty to offer. A diverse menu that feature weekly specials keeps local customers interested and provides a pleasant surprise to people just passing through. From our fresh baked goods to our home made smoked meats to a variety of frozen steaks & Dinners, not to mention a full menu of sandwiches, pizza wings and more, the Thomahawk more than meets the eye.